No other discipline has an influence on the global innovation scene to compare with photonics. Its success rests on three pillars: scientific excellence, inventiveness and a pioneering spirit. 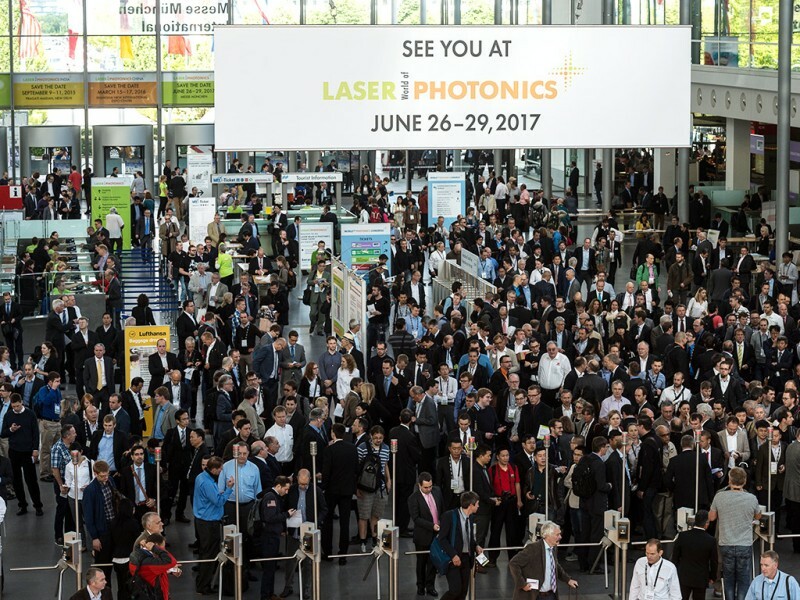 Many companies exhibiting at the world’s leading trade fair LASER World of PHOTONICS were only founded within the past 30 years. And there is a continuous conveyor belt of new start-ups. From June 26 to 29, 2017 they will take pride of place in Munich at the Start-Up World and Photonics Award—organized in collaboration with the Anwendungszentrum GmbH Oberpfaffenhofen (AZO). The Make Light MAKEATHON also promises a copious breath of fresh air and contacts galore with digital innovators. Frequently their ideas break new ground. They take the plunge where others hesitate and find direct ways of translating their research findings into marketable products. Founders create innovation—and a living for themselves and others. 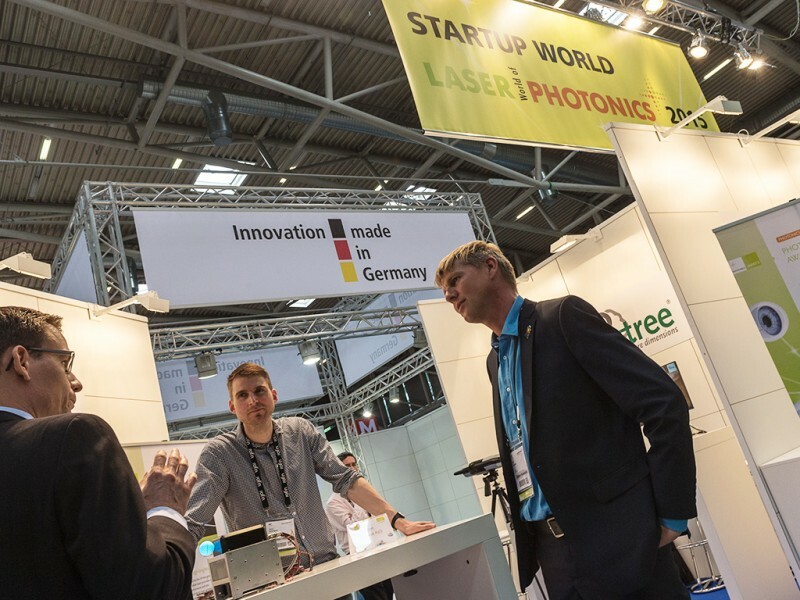 To give their achievements the accolade they deserve, the motto at LASER World of Photonics 2017 from June 26 to 29, 2017 is once again: make way for start-ups and their ideas! Numerous domestic and foreign companies will be represented at Start-Up World in Hall B3. To this end a bespoke starter package has been put together for start-ups no more than five years of age. This enables the newcomers to take part in the world’s leading trade fair for photonics components, systems and applications at greatly reduced organizational and resource effort and expense, and showcase their ideas to an international trade public. The Photonics Award finals will be held for the second time since 2015 under the Start-Up World umbrella. Teams of company founders from home and abroad will pitch their latest products and close-to-market prototypes to a jury of experts. In the first final of LASER World of PHOTONICS 2015, not one but two Swiss teams made it through: the 3D-microscopy start-up Nanolive and the fledgling Femtoprint SA, specialized in micro 3D printing. Starting in May, the search will be on for the next generation of prizewinners. The applications received will be screened by the jury and the chosen finalists will go on to present their ideas at the event. Whether under the “Internet of Things” or “Photonics 4.0” label – digital networking is one of the core innovation drivers in the photonics industry. Photonics is both enabler and user. The need for photonics personnel will continue to grow with the onward march of Industry 4.0. LASER World of PHOTONICS affords an optimal opportunity with the 24-hour Make Light MAKEATHON on June 27 and 28 to get to know photonics talent and the digitally savvy movers and shakers of tomorrow. This competition, staged in collaboration with the German Federal Ministry of Education and Research’s Make-Light-Initiative sees students and young engineers competing to create prototypes from ideas. Other Make Light MAKEATHON partners include ITQ and Conrad Electronic. The event provides recruiters in Munich with a lively complement to the Career Center, which will once again be a collaborative forum with consulting group Wirth + Partner bringing together employers from the world of Photonics and interested applicants. 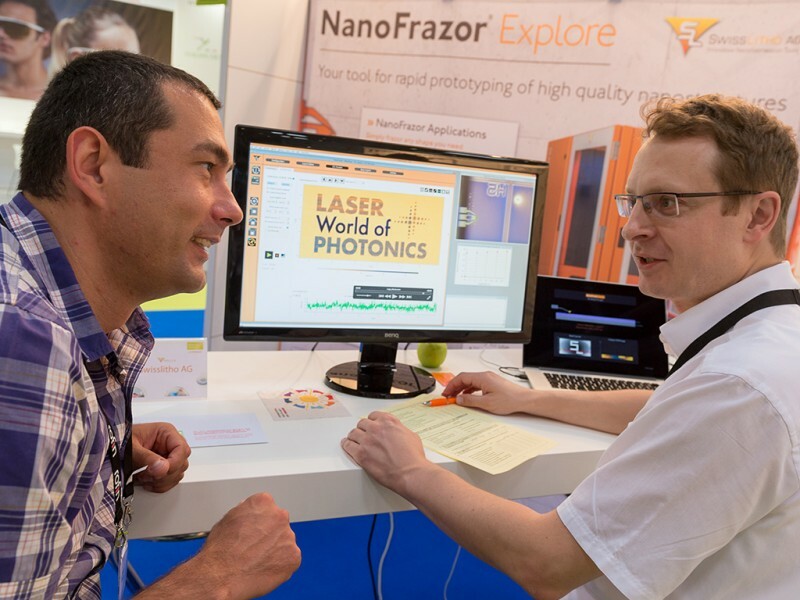 Photonics talents find a huge platform at LASER World of PHOTONICS to promote themselves. The Make Light MAKEATHON at LASER World of PHOTONICS.